The Manyaleti maybe the place of stars but it shares this place with lions. 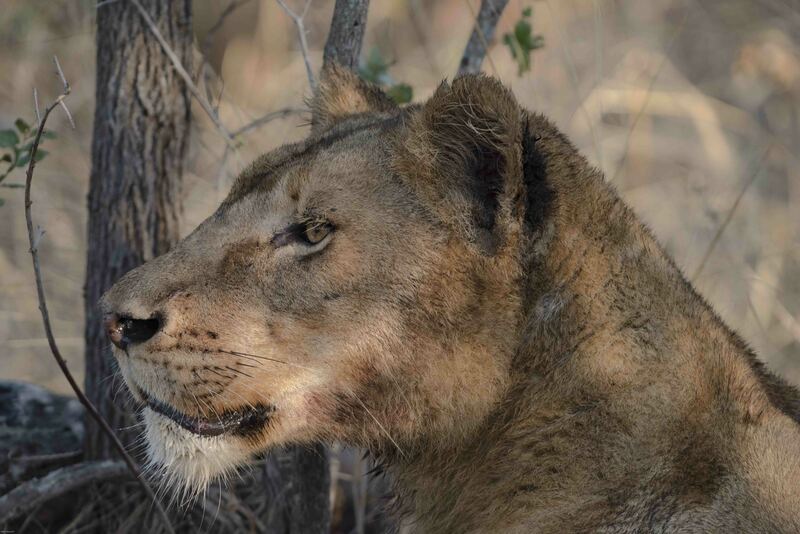 We saw lions on all three days were in the Manyaleti Game Reserve. We heard them at night. Their roars are so loud that you think they are a few hundred metres away in the bush. 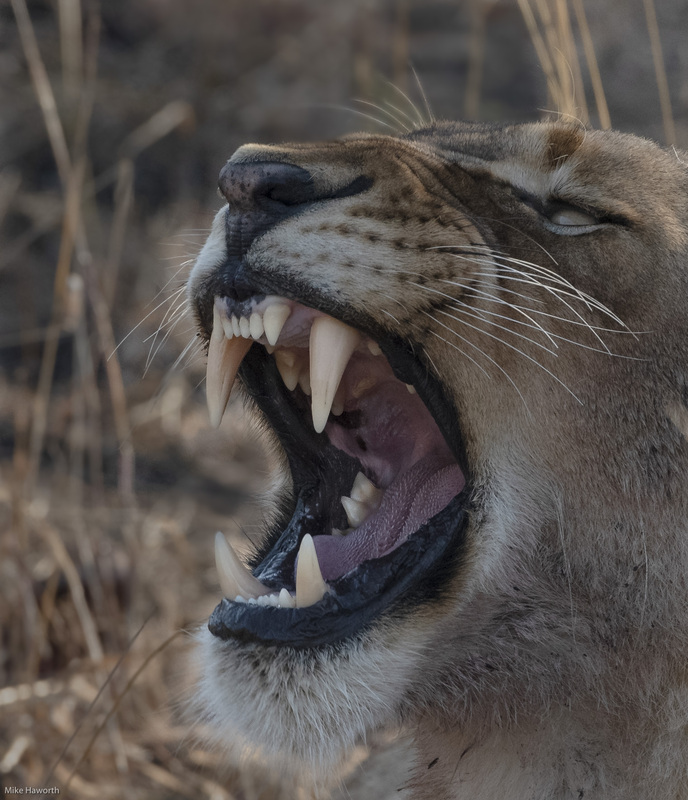 In reality, the roars carry so far, particularly at night that they could be a few kilometres away. 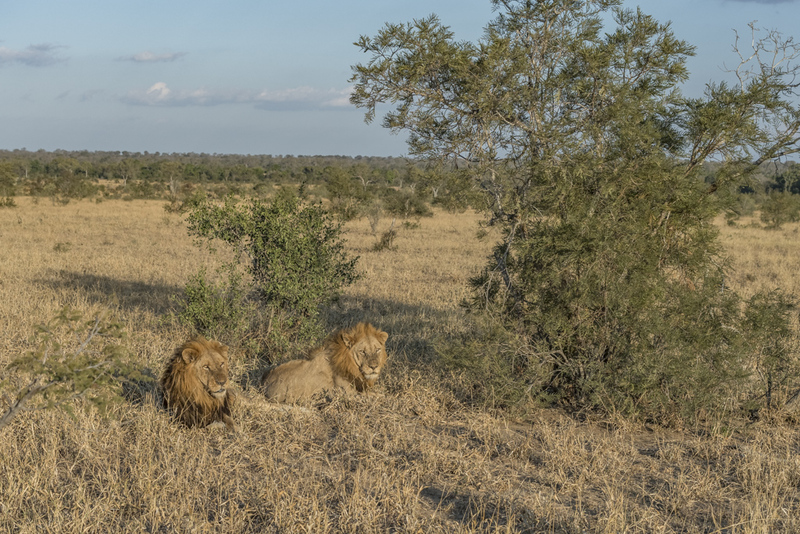 When you see lions in the early morning, you might be lucky to get an hour or so of activity and play before they seek shade and then turn into “flat cats”. As big as lions are when they lie down on their side in the grass, even short grass, you will not see them until they lift their heads. 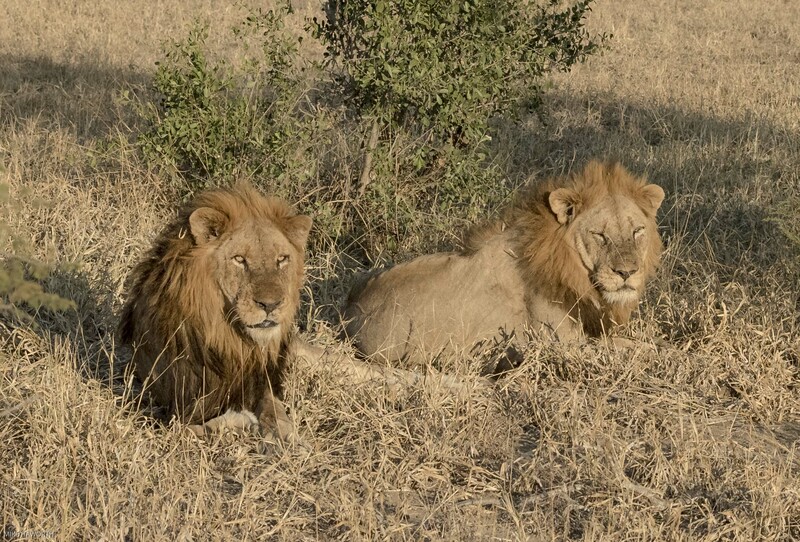 This particular morning our guide, Pat Donaldson, knew where to look for the pride. It was just next to Dixie dam. 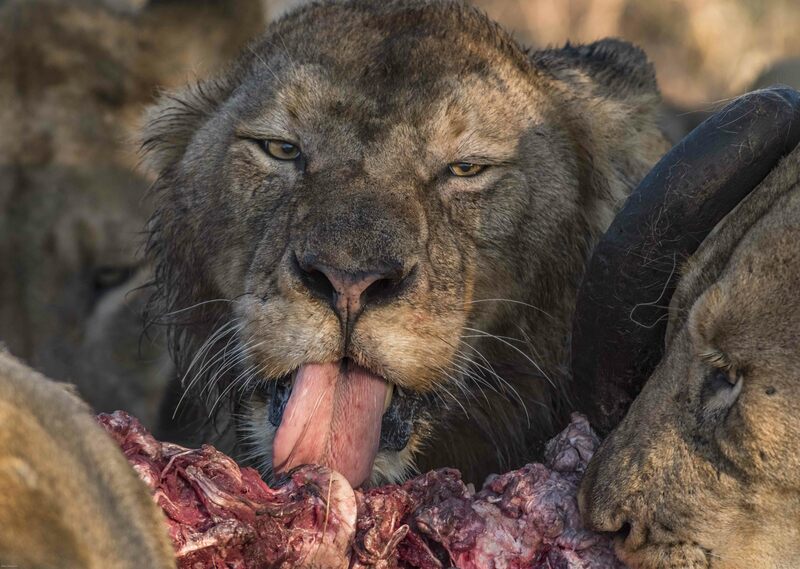 From a photographic point of view, it is always the “luck of the draw” with lions. You can arrive half an hour too late and they will have settled down in a thicket or long grass and they become very difficult to photograph or maybe one is lucky and you get there in time to see them play or feed on a kill. 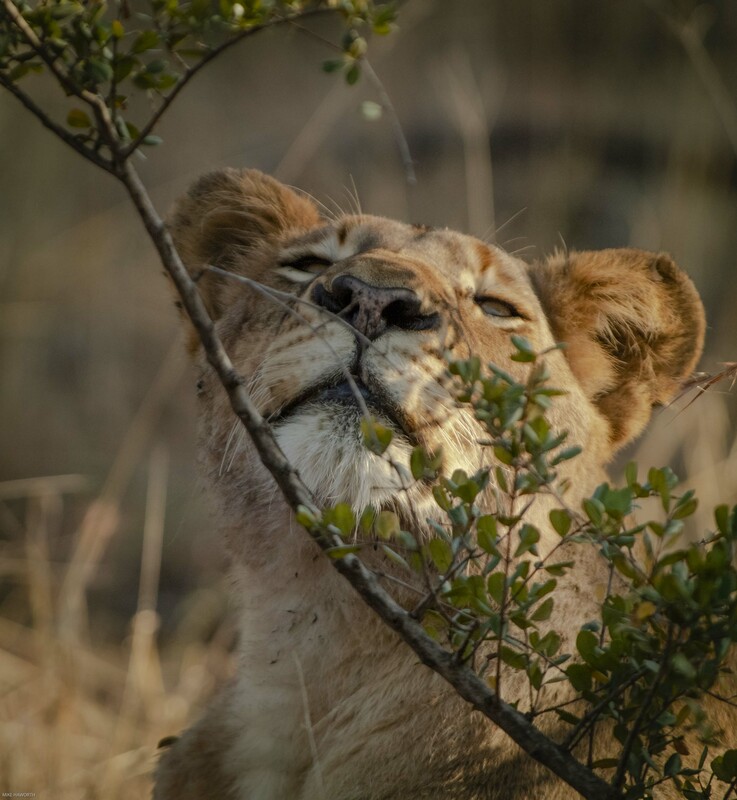 Lions are highly sensitive sensory creatures. Despite lying close to a wildebeest kill with eight lions feeding on it, this female was testing the wind and must have picked up something, on the wind. In the early morning the shadows are long but the light moves quickly. Once you assess which way the light is moving, a little patience can reveal all sorts of photographic opportunities. 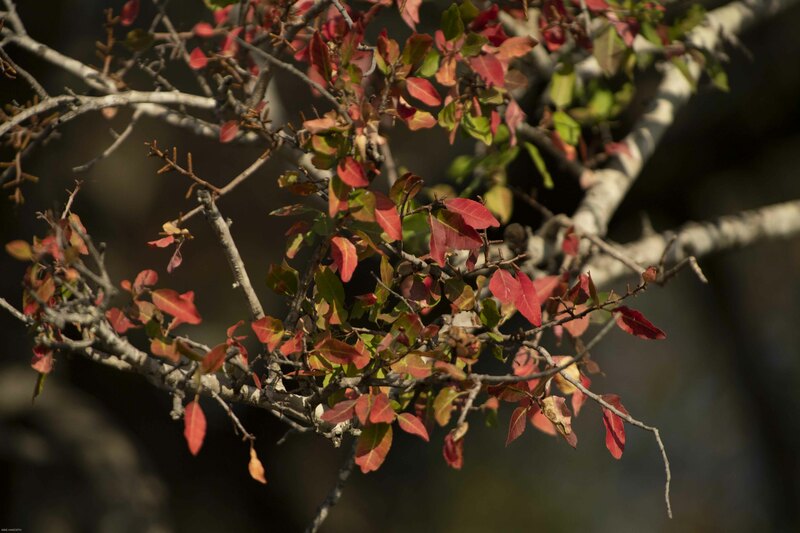 I was captured by the vibrant red leaves of the Tamboti tree in winter. As beautiful as this tree’s leaves are, it is poisonous. If you burn the wood in your camp fire you will get sick . Tambotis grow in groves, so in the midst of the browns, yellows and faded greens of the winter bushveld you suddenly come across this blaze of red. 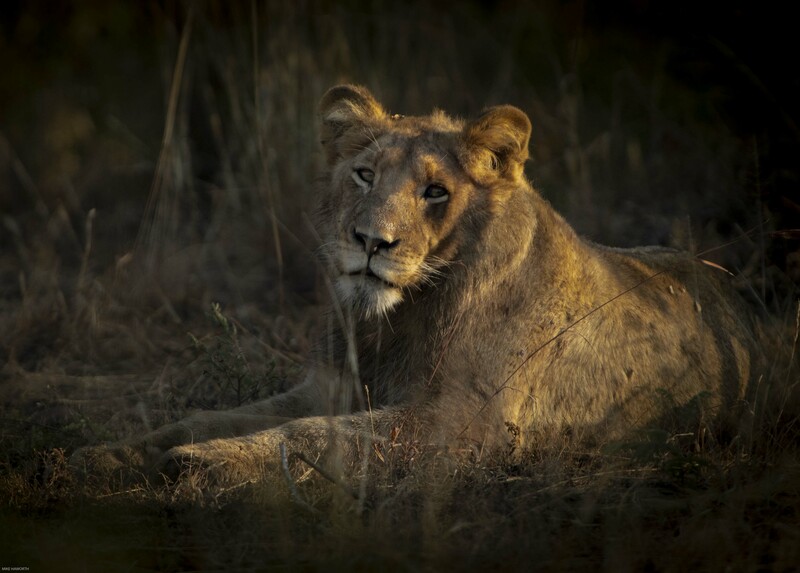 In the afternoon of our first day, we found a pair of male lions lying a couple of hundred metres to the north of a reservoir where the guides had found them earlier in the morning. It is not often lions will move any great distance during the day unless there is a specific reason. These gentlemen were enjoying the afternoon winter warmth. There seemed to be a high concentration of lions in the area so we assumed the nights could get quite busy. That night we heard two sets of lions roaring. One was quite close to the camp and their roaring seemed to be territorial, just letting everyone know who they were and where they were. The second set sounded like a mating pair. The roaring was still going on when we gathered at the camp fire in the dark at 5h45 to get our requisite cup of coffee and a rusk. That was enough for us, we decided there and then that we would go and look for the roaring lions. 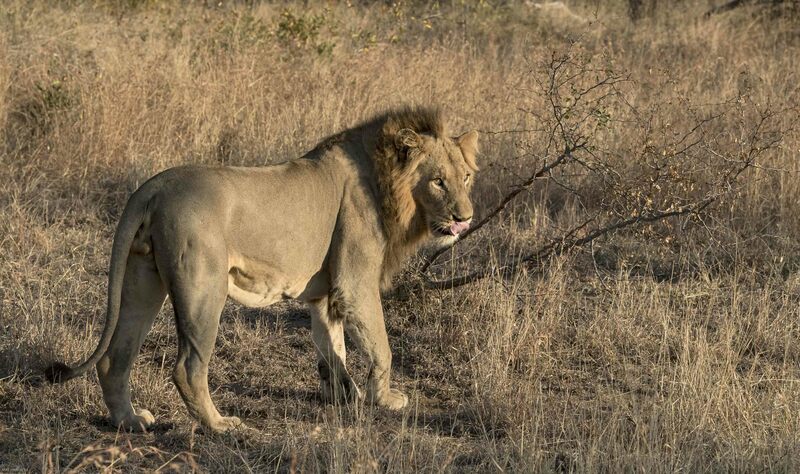 With warm bellies and heads swimming with anticipation, we drove off in the freezing cold to find our lions. We figured they were a couple of hundred metres from camp. 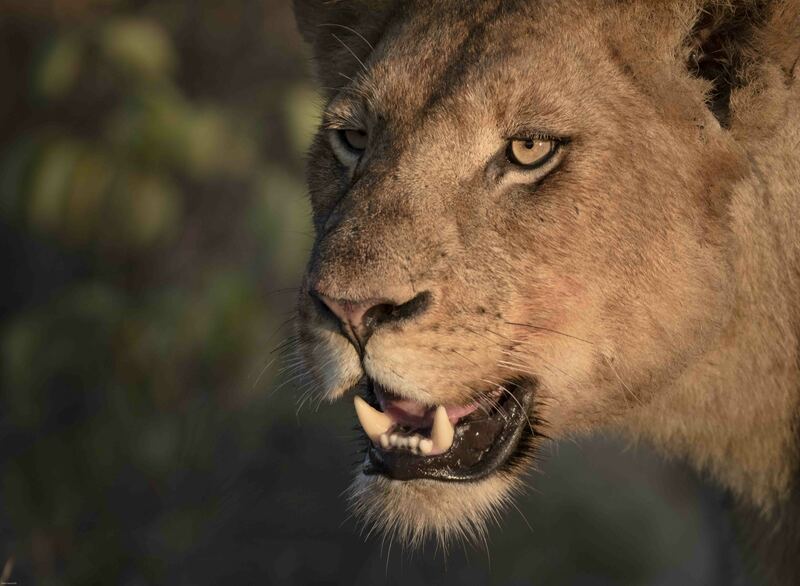 After about half an hour of driving further from the camp, we located not a mating pair, but a pride of lion which had killed a wildebeest in the early hours of the morning. We must have found them somewhere between three and four kilometres from the camp. It is only when you are up close and they let out those deep guttural growls that you get a sense of the innate power of these felines. 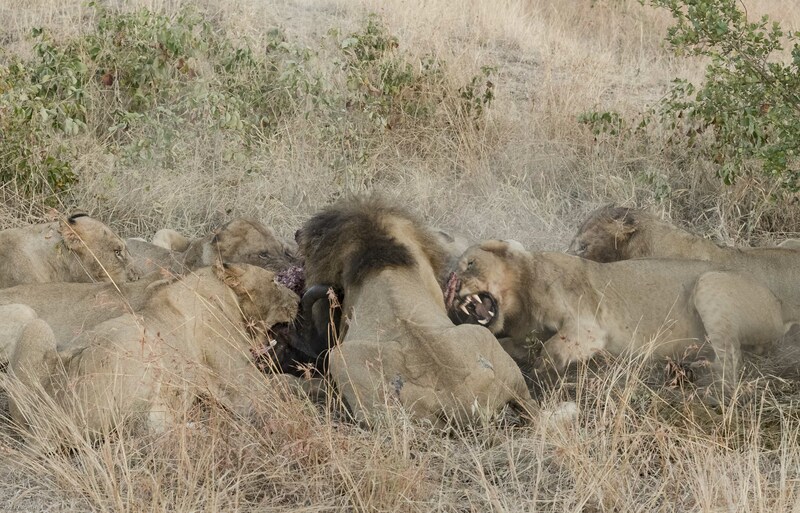 There was an adult male and seven sub-adults feeding around the kill. When the youngsters were getting agitated, they would let out a deep guttural growl which seemed to come from deep inside their stomachs. That deep resonating growl strikes a primary chord in your being. Feeding time is never peaceful when the dominant male is on the kill. ‘Share” seems to be an unstable equilibrium when the apparent calm can turn savage very quickly. The male was getting some “attitude” from the youngsters either side of him so one firm swipe of his right paw put paid to further attitude. Eventually this large black maned male lion had had enough of the family attics. Sated, he got up and walked away to lie in the shade of a far tree. The youngsters were very wary of him when he was on his feet. The clouds forced the light to dance around the carcass. These youngsters were very wary of the two large males in the periphery. 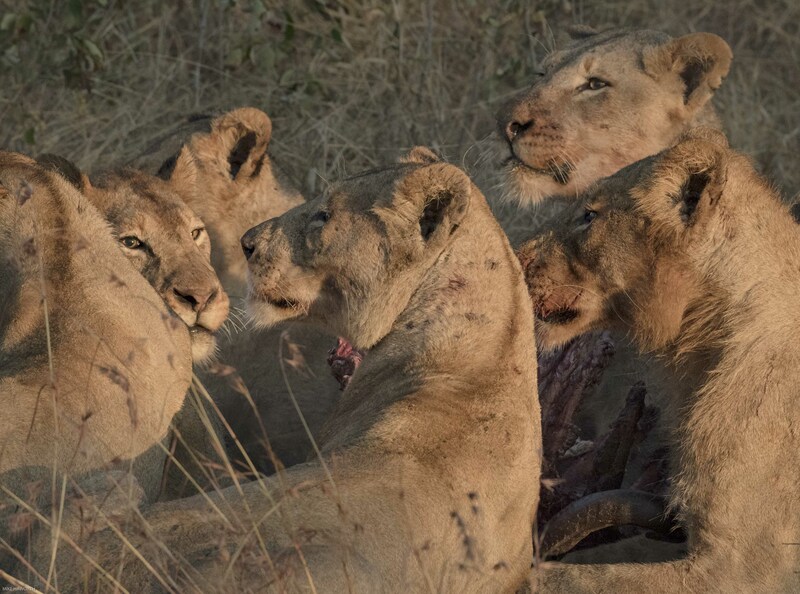 All the action around the kill gave us a chance to photograph these lions in various poses. One open-mouthed snarl showed the size and condition of the canines……not a place you want to get anywhere near. 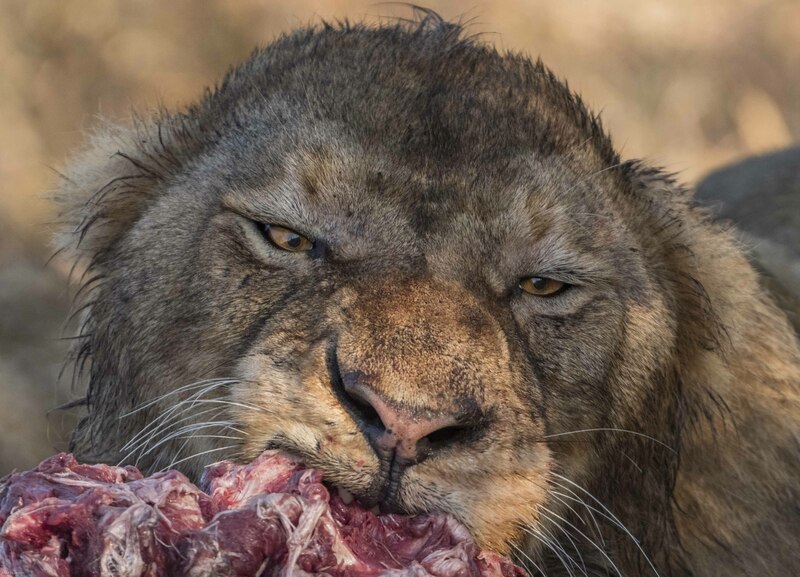 When the prey has been killed the males get first take and then is a “free for all”. Lion table manners do not exist, each member of the pride will have to fight for its share. Dirty face but satisfied look!! 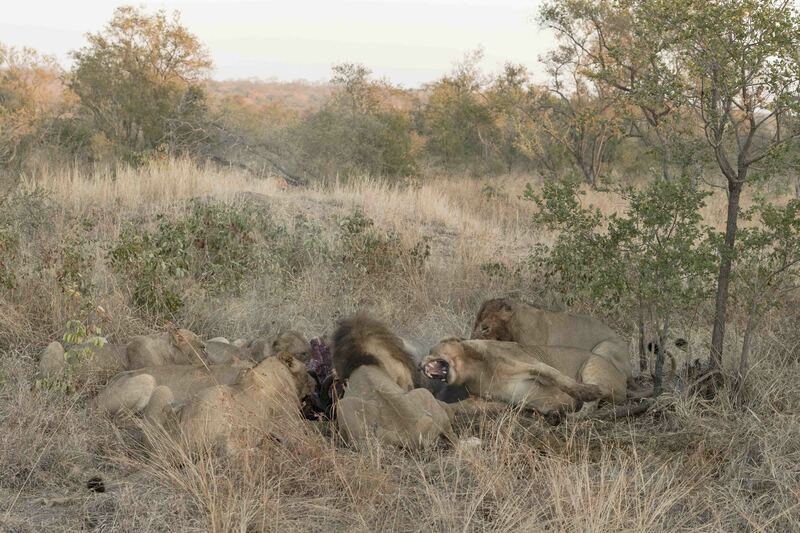 Despite all the action around the kill there is usually one member of the pride who is keeping guard. This lioness saw another male wandering around about a hundred metres away and was more than a little interested in his intentions. The lone young male, probably a nomad, was lurking about one hundred metres away. He was clearly not part of the feeding pride and would not venture closer, particularly with two resident males close by. The youngsters in the pride were tucking in. The images give a degree of the visual intensity but do not give sense of the noise and smell during feeding time. 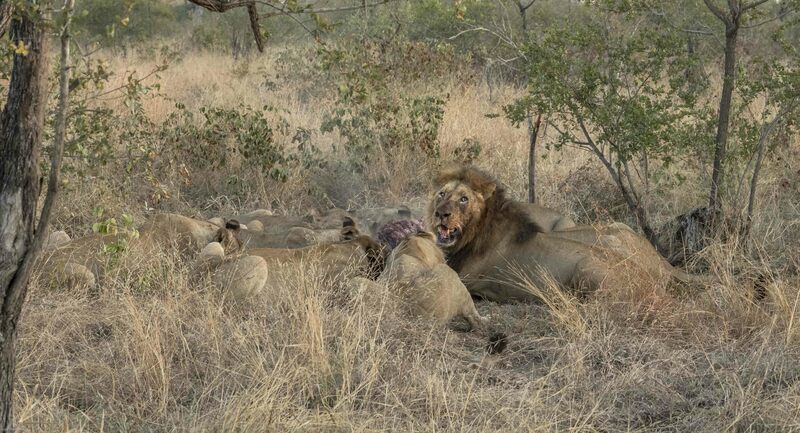 There was so much energy being expended that there was steam coming of the lions and the carcass in the early morning air. 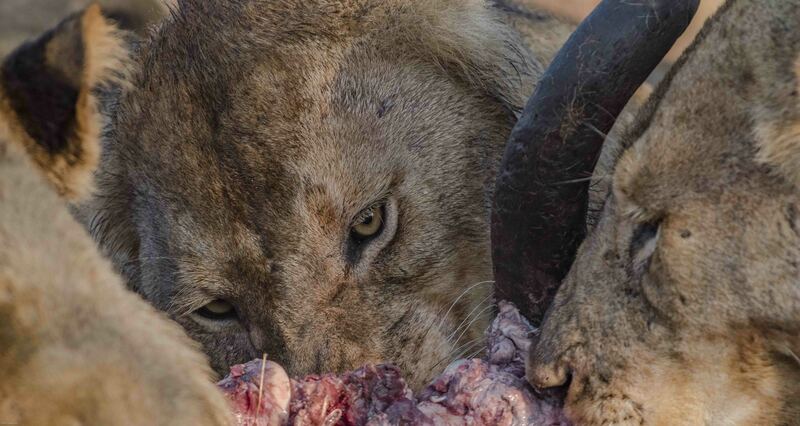 The intensity and ferociousness of these young lions was evident in their feeding. We all sat quietly on the vehicle just watching, mesmerised by the spectacle in front of us. 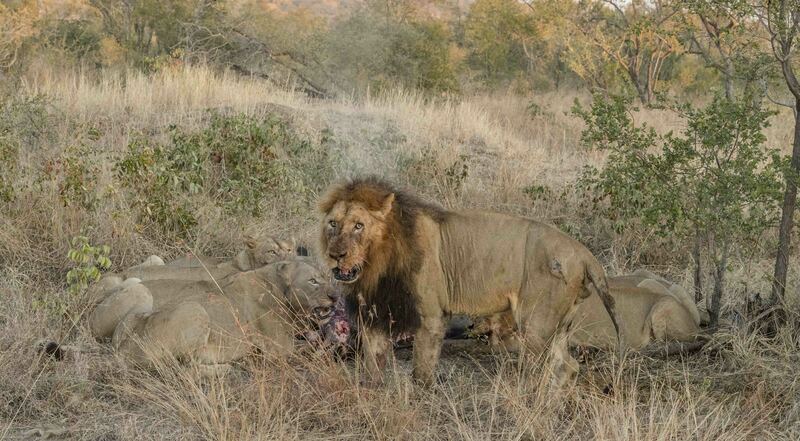 According to Pat this was the Nkuhuma pride which had come through from Sabi Sands. It was really encouraging to see so many wild lions in one area. 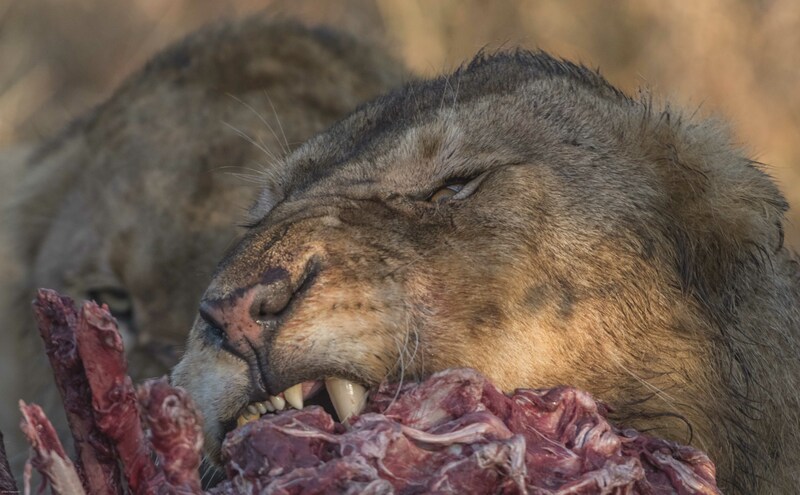 According to Panthera, lions have disappeared from 90 percent of their historic range due to habitat loss, hunting and poaching, retaliatory killings by livestock owners, loss of prey and other factors. 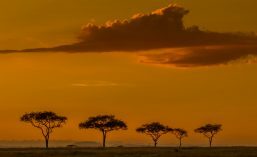 In just over a century ago, the number of lions in the wild has collapsed from more than 200,000 living in Africa to estimates which vary between 20,000 and 39,000 today. Lions are extinct in 26 African countries. What images do you see around you?